As the world's eyes focus on China for the 2008 Olympics, this mini edition presents a vivid graphic profile of the rapidly changing country. 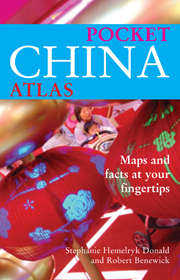 Based on the highly acclaimed State of China Atlas, it brings together more than 25 topical maps in full colour, each updated with the latest available data. Olympic Games: essential facts and figures, as well as China’s previous medalists. 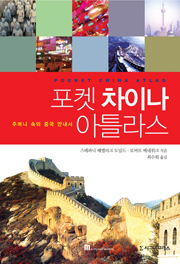 This is a book for China watchers worldwide as well as for an Olympic audience. It is also for people traveling, or who have traveled, to China, whether on business or as tourists. Essential comprehensive facts and figures abut China...succinct yet thorough.